Right, with that off my chest, let's get on with it. Ron is my final submission to the trio series. He was a bit easier to make than Harry and Hermione... which is a crime, isn't it? He must be so difficult to deal with in PotterLand. But it took hours in Bodyshop, getting his face just right. He's mine and please do not steal him from me. So, this malefactor whom has been scribbling all over my screenshots is modeled after Rupert Grint, who plays Ron in the movies. 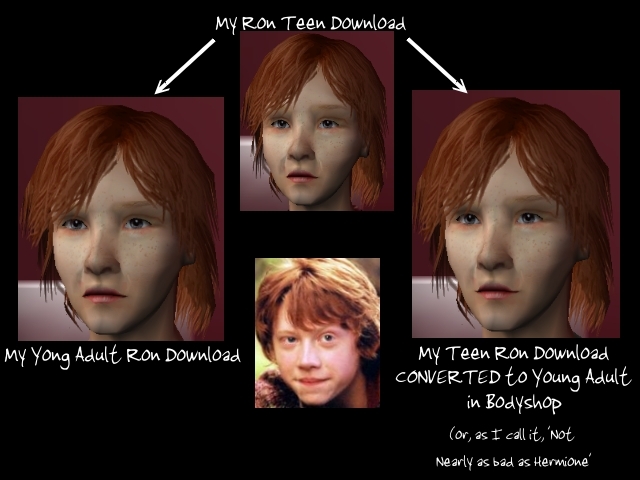 That is, he's modeled after Rupert in The Prisoner of Azkaban, which is when I think the trio looked their best. There is a Teen and Young Adult download here. 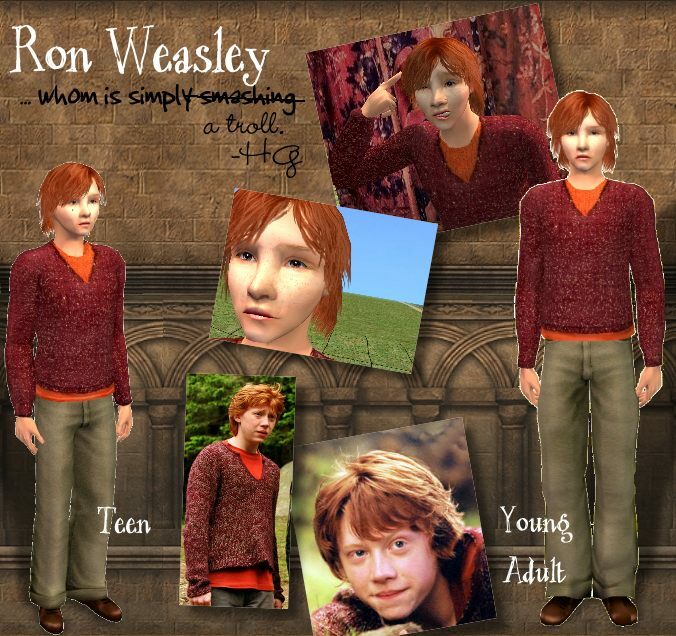 Again, if you open the teen Ron Sim in the Create-A-Family screen and make him grow into Young Adult, he turns into a real troll. A REAL troll. Ha ha. Hair: Long Messy Hair by CORiS recolour by me. YOU NEED THE MESH FOR IT TO APPEAR IN THE GAME. 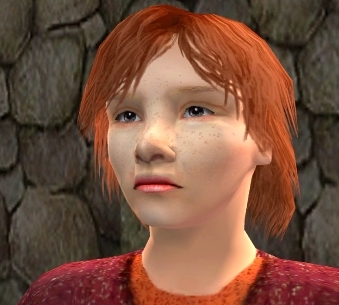 Please leave a comment or give thanks if you downloaded this Sim! These recolours may or may not be endorsed by lady_darkshine.